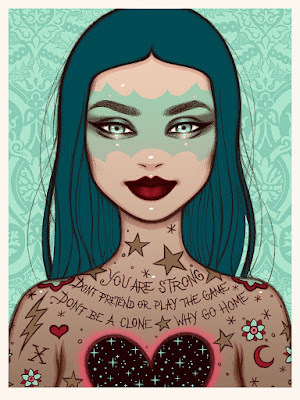 Collectionzz has launched a really cool new screen print series entitled Art Unleashed: Rock Art for a Cause. It’s a collaboration with some amazing artists from around the world, who are very well-recognized within the world of rock and gig posters, with two goals in mind: to raise money for charity, and to bring to members of Collectionzz some of the most phenomenal rock art they’ve ever seen! 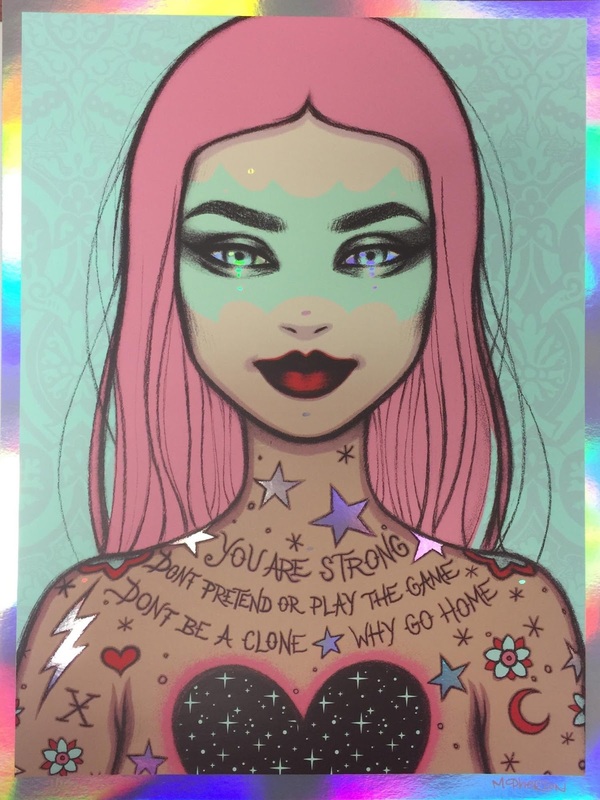 But what’s really amazing about this project is that Collectionzz will be donating all profits from the sales of the art to the charities of the artists’ choices. How cool is that!?! The Blot will definitely be trying to snag a few prints from this exciting new series. 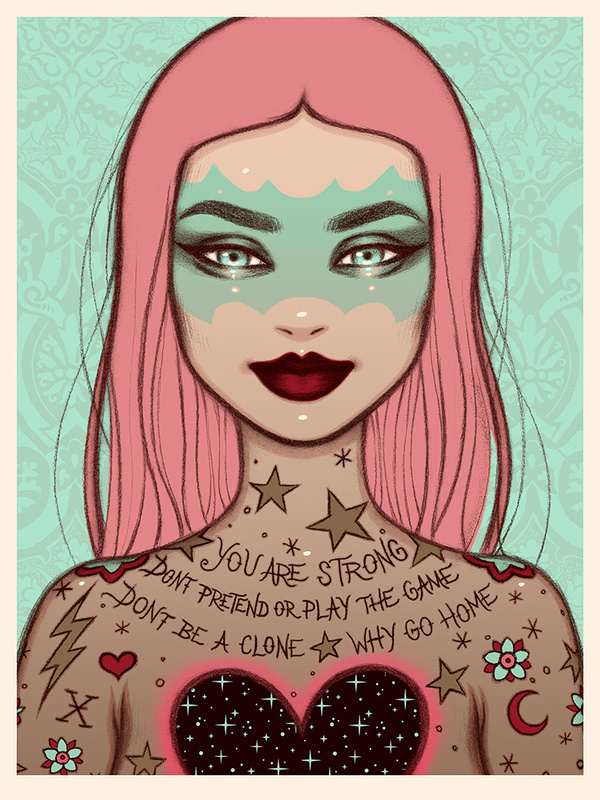 You Are Strong by Tara McPherson is an 18”x24” signed and numbered screen print. The Main Blue Hair Edition is limited to 100 pieces and retails for $75, while the Variant Pink Hair Edition is limited to just 30 pieces and retails for $100. The Main Edition and Variant Edition are seven color prints with a layer of gold flake ink. There’s also a super rare Rainbow Foil Variant that features six colors and is limited to just 10 pieces, which retails for $125. All three prints go on sale at 2pm EDT today, Monday, June 4th, at the Collectionzz online store.